And another weekend is upon us, presenting you-all with yet another opportunity to temporarily (or not?) cast aside your nerdly pursuits and let our continuing survey of mid-century sleazy-listening musics help turn you - yes, you! In the Spock ears - into the heppest cat or kittie on the block. 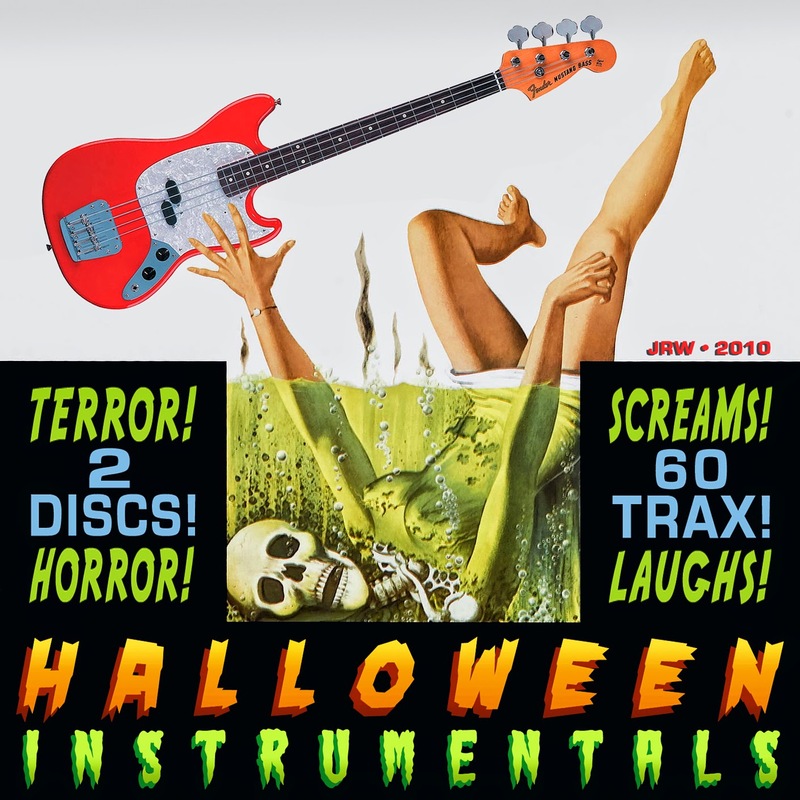 This real real gone assortment of surf, garage, r'n'b, soundtrack themes, and assorted radio ads is packed with both stars (Joe Meek's Moontrekkers*, The Ventures), and forgotten regional releases. Rock'n'roll as it should be, before it went middle-class and respectable. 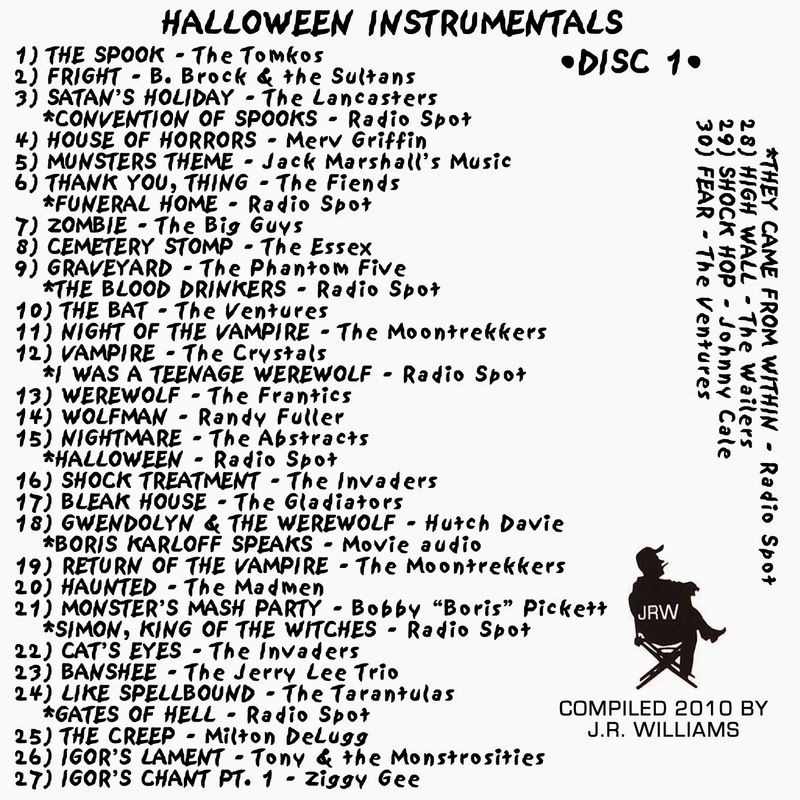 J.R has added a few more goodies for your trick-or-treat bag at the bottom of the page. Creepy Chix mix: J.R.'s Fun House (formerly "J.R.'s Prints of Darkness"): Creepy Chix Mix! FANGS a million to J.R. Williams for all this ghastly goodness. *The record was banned by the BBC as being "unsuitable for people of a nervous disposition"
That's COUNT Fab, to you son! 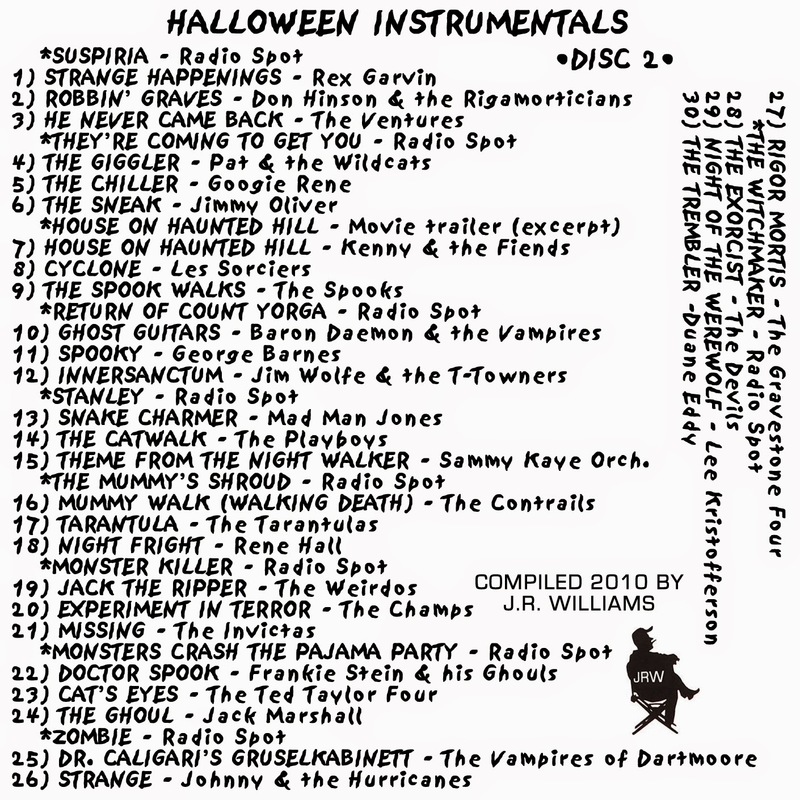 I look forward to these Halloween compilations all year.